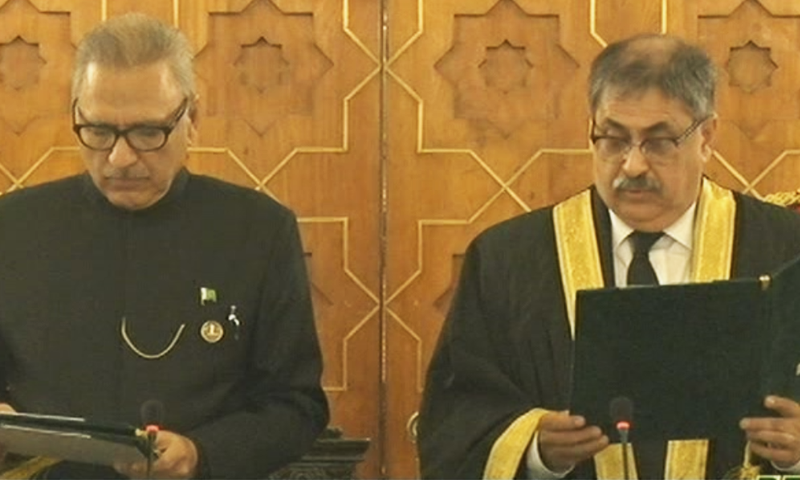 Justice Athar Minallah was sworn in as the chief justice of the Islamabad High Court (IHC) on Wednesday, reported. The oath was administered by President Dr Arif Alvi at a ceremony at the Aiwan-i-Sadr in Islamabad, attended by federal ministers, parliamentarians and judges of the IHC. Justice Minallah will be the third chief justice of the IHC since it was established in January 2011. The outgoing chief justice, Mohammad Anwar Khan Kasi, retired on Nov 27 after attaining the age of superannuation, and Justice Minallah was earlier notified by the Ministry of Law and Justice as the next IHC chief justice. The Judicial Commission of Pakistan headed by Chief Justice of Pakistan Mian Saqib Nisar had on Nov 1 unanimously recommended Justice Minallah as the next IHC chief justice. On Nov 8, the Parliamentary Committee on Judges Appointment endorsed the recommendations and forwarded the matter to the president through the prime minister for the appointment of Justice Minallah as IHC CJ.